Samsung is expected to launch three variants of the Galaxy S10 in February 2019. 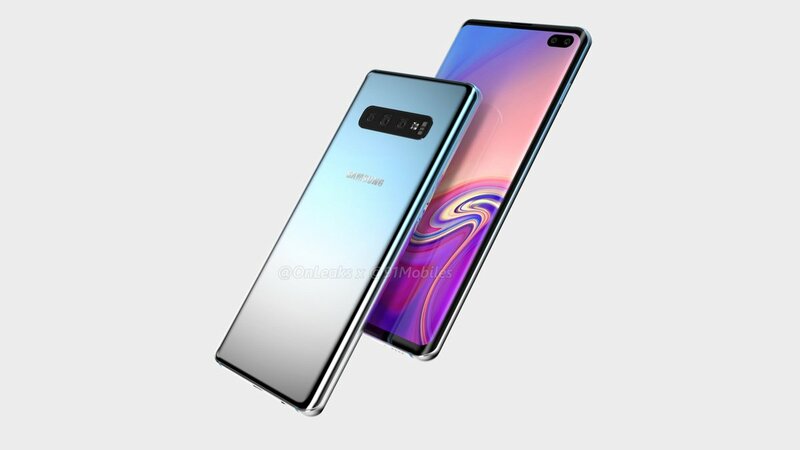 The list of upcoming smartphones includes the Galaxy S10, the Galaxy S10 Plus and the Galaxy S10 Lite. The Galaxy S10 Lite will be the cheapest smartphone out of the three and has the model number SM-G970. 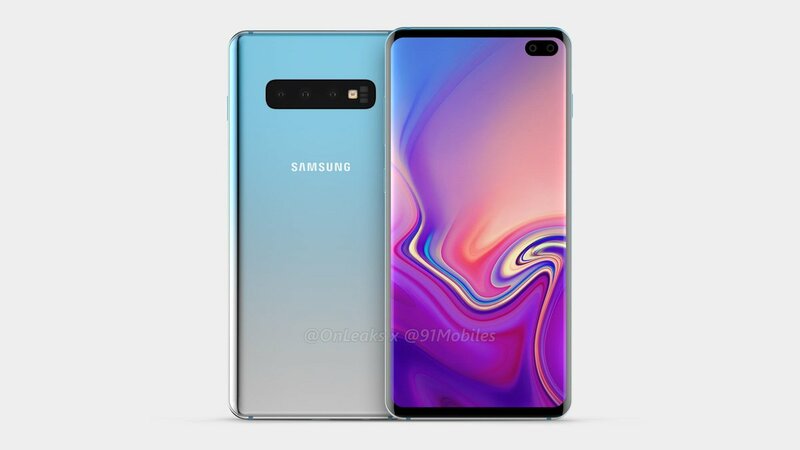 The Galaxy S10 and the Galaxy S10 Plus are believed to carry SM-G973 and SM-G975 model numbers respectively. 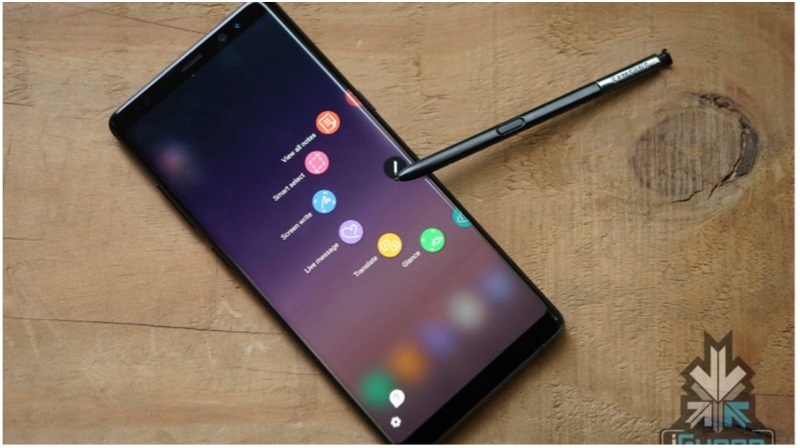 A few weeks after the launch of these devices, Samsung will also launch a 5G capable variant of the Galaxy S10. An HTML5 test of the Galaxy S10 Lite has been spotted online. 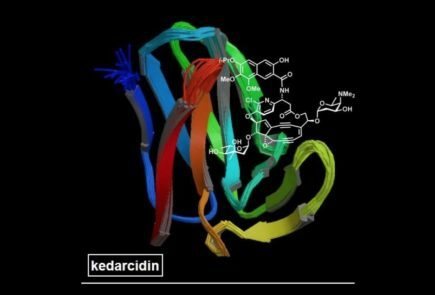 The test results were first discovered by a German website, Mobile Kopen. 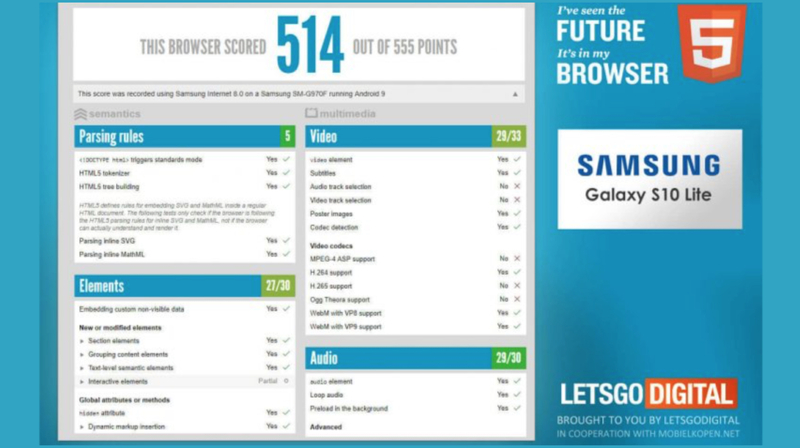 The smartphone browser scores 499 points out of 599. The test also reveals some details regarding the display of the smartphone. According to the HTML5 test, the smartphone has a screen size of 360 x 760. 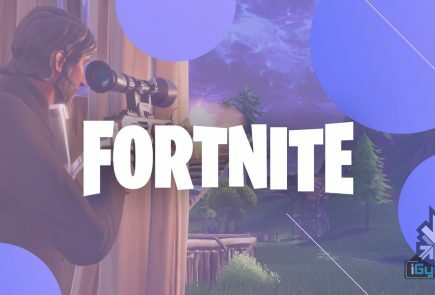 This converts to 2280 x 1080 px actual resolution. Previous rumors suggest that the Galaxy S10 Lite will feature the Snapdragon 855 processor with 4 GB/ 6 GB of RAM. Samsung is expected to launch the smartphone with 64 GB and 128 GB internal storage options. 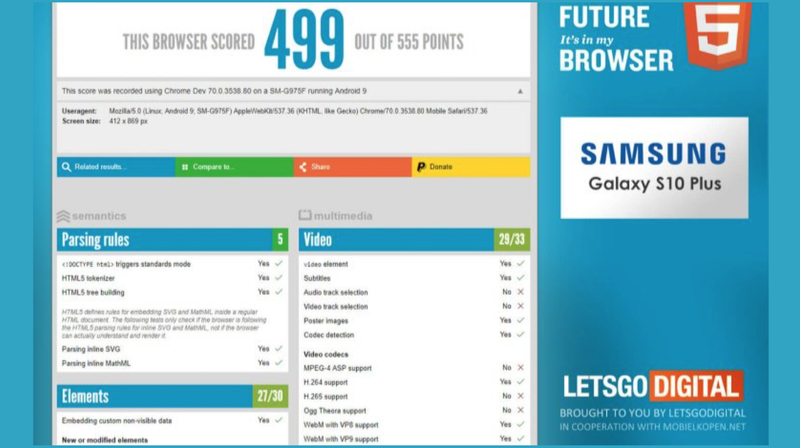 The Galaxy S10 Plus browser scores 514 points which are 15 points higher than the S10 Lite’s results. The S10 Plus has a screen size of 869 x 412 pixels which converts to an actual resolution of 3040 x 1080 px. 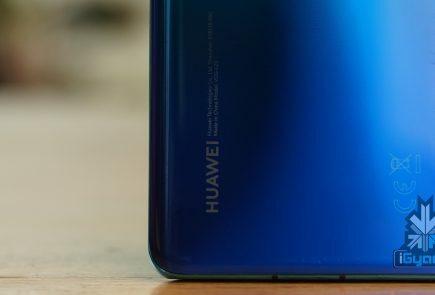 It is expected to have the same Snapdragon 855 processor as the S10 Lite. 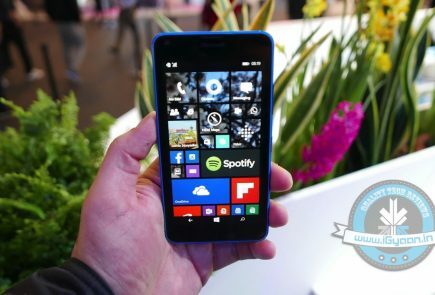 The key differentiating feature between the two will be the bigger screen size, storage capacity, and RAM. The Galaxy S10 series of smartphones are expected to launch in February of 2019 which will be soon followed by the 5G capable S10. 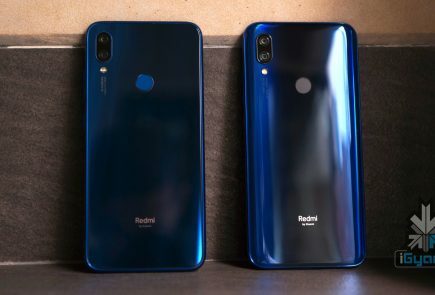 Although the official prices of the smartphones are unavailable, they are expected to be priced upwards of the $ 1000 mark.